A large open source community has grown around Swift, since Apple open sourced it along with a Linux Port back in Dezember 2015. Certain parallels can be drawn between the evolution of Java and Swift. Java was first a portable platform independent client-side technology that slowly found its way to the server side. A similar pattern can now be seen when looking at the Swift ecosystem. Starting out as a client side technology for developing IOS and OS X applications. 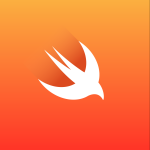 The release of Swift as an open source community driven language, along with the Linux port, have given rise to an array of frameworks, utility libraries and server projects. For an overview of the Swift ecosystem visit IBM Swift Package Catalog. So far this series has covered simple IoC dependency injection as well as bean initialization with @PostConstruct and constructor injection. In this part we will introduce container managed contextual scopes to Voodoo DI. So far Voodoo DI simply maps interfaces, supertypes and the target type directly to the concrete implementations. //Map Interfaces and Supertypes to concrete implementation.